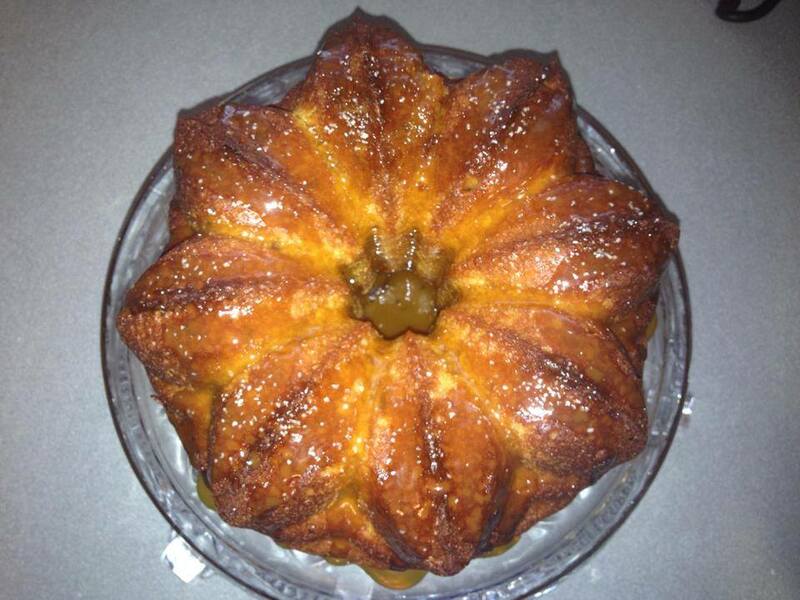 This Amish Friendship Bread recipe was submitted by Kitchen Friend Kimberly Kozicki … it’s a gourmet twist to our favorite recipe, offering a heady hit of caramel with a crunchy sea salt finish. Using a stand mixer with a paddle attachment, beat butter until light and fluffy, about 3 minutes. Add sugar and beat until pale and creamy. Add greek yogurt and beat until incorporated. Add starter and beat until incorporated. In a separate bowl, whisk flour, baking powder, baking soda, salt and butterscotch pudding mix. Slowly add flour mixture to the mixer. Pour batter into Bundt pan sprayed with cooking spray. Bake for an hour (or until toothpick comes out clean). Allow to cool then remove cake from pan. Drizzle caramel ice cream topping over cake (or try a Caramel Glaze) and finish with a pinch of sea salt. The recipe for my Amish Bread starter says to stir with a wooden spoon each day and when feeding it. Is it okay to use an electric mixer when making the bread or am I supposed to use the wooden spoon? What is the reason for the wooden spoon? In the “old” days metal (like tin) was uncoated and would react with the starter. As long as your metal is coated, you’re fine, Trudy! As all of us know the internet is a source of ideas which we are intended to apply our own slant to, but I followed this recipe pretty closely and loved the result. The only changes I made were to stir in 3/4 cup of toffee bits and substitute Ginger Sugar (candied ginger ground in the cuisinart) as a dusting instead of the caramel syrup and sea salt. Half of the cake became my neighbors’ introduction to Amish Friendship Cake, along with their new starter. We’ll see what comes back! Hi Tom! Loved that you shared this, and loved even more that it worked out AND you found a way to make it uniquely your own! The ginger sugar and toffee bits sound heavenly. I have to make this. I just love sweet and salty.I love Tom’s idea of toffee bits. I think this cake would be so nice to gift with my new neighbor who looks a tad tired after her move in, of course saving just a little to share with my sister’s family on Christmas morning with pressed coffee. This cake looks and sounds so delicious! I would love to make this for my best friend for Mother’s Day! I just know she would love it! What size box of instant butterscotch pudding do we use….small or large? Either size, Trudy — the larger size makes it more moist, but some prefer a single small box so the butterscotch flavor isn’t too overwhelming.